This document discloses The Option Energy Solutions storage and use of data policy in line with the new General Data Protection Regulation (GDPR) laws. Option Energy Solutions is dedicated to protecting the privacy of our clients, and process personal data with greatest care in accordance with the General Data Protection Act 2018. Personal information is used by us and those who work for us to provide our customers with a personalised service. All personal data stored by us is password protected. We have never and will never share, sell or rent this information to third parties for marketing purposes. We store this information, so that we can contact our customers to book in any jobs that you may need arranging. We store this data so that our engineers know how to find you. We may also send letters such as invoices and sometimes a little thank you at Christmas. We store this data to contact our customers in relation to any work that may need to be booked in and to keep you updated on your projects. We also use this to send you relevant information that we believe to be of value to you and to let you know of any deals that may be taking place. 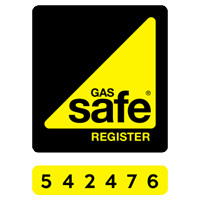 We store bank details for our boiler cover service and these details are password protected in Go Cardless. We have also carried out a full PCI DSS compliance procedure with our card payment provider Worldpay, and we adhere to all of their requirements. We may need to take photographs of job locations for survey and pricing reasons as well as any before and after photos of work that we have carried out. Should a customer inform us that they would no longer like to hear from us, their information will be removed and deleted immediately.